This compact and very beautiful country provides the opportunity to visit enriching community projects, spend time on safari spotting the Big Five and enjoy lazy days by the lake fishing, snorkelling and swimming easily all in one holiday. It was no surprise to us to see Malawi Tourism inundated with enquiries at the recent Times Destinations Show in February. Malawi is certainly a rising star in Africa. For families in particular, Malawi promises much. The dry season runs from May to October covering the May and October half term period as well as the long summer school holiday. A trip can incorporate adventure and excitement, with game drives or activities like hiking in the Mulanje Mountains or canoeing on Lake Malawi, with educational visits, such as one to an historic tea estate or to a community project like the one in Zomba where visitors can dance Malawi style with the local youth group or help with the ‘feeding’ project. To top it all off, you can then chill out on the beach – what could be better? 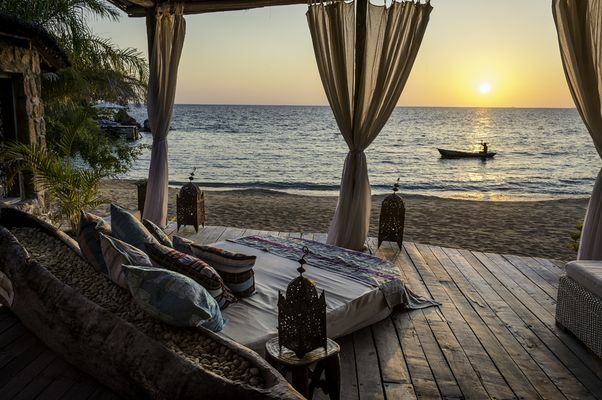 A visit to Malawi can combine nights in luxurious lodges like Kaya Mawa on Likoma Island, Lake Malawi or Tongole Wilderness Lodge in the Nkhotakota Wildlife Reserve with a simple village homestay, fly camping beneath the stars, or a pre-hike night in a mountain hut if you wish. It really can be that diverse. Malawi also offers ample safari opportunities with nine national parks. Nyika National Park in the North is notable for its good density of leopard. Liwonde National Park, dominated by the Shire River, in the South has excellent populations of hippo, elephant, buffalo, crocodile and antelope. Majete, also in the South has a fascinating back-story. It was once a prolific game refuge but by the 90s much of the big game had been eradicated due to poaching, logging and agriculture. But in 2003 African Parks Majete took over management of the reserve and a decade later, it is a model of sustainable development and biodiversity. 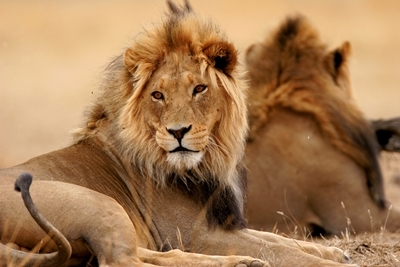 13 different species have been reintroduced including black rhino, elephant, antelope, zebra and leopard. Lion have just been re-introduced here and to Liwonde making Majete a Big Five destination. 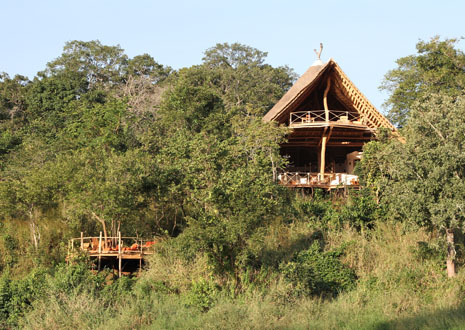 In addition Robin Pope’s beautiful new lodge Mkulumadzi has opened in the reserve. 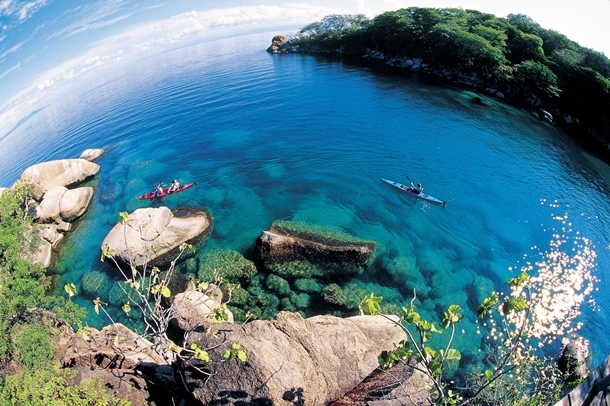 Malawi’s lake shore stretches some 500km. It is a paradise of small communities, sandy shores and small islands. This compact and beautiful country lends itself perfectly to tailor-made itineraries, Real Africa’s speciality. You can now view sample itineraries online, including a Northern and Southern circuit which take in the main highlights, and give an excellent overview of what is possible. 1800 square kilometres of rugged terrain are criss-crossed by rivers, the largest one being the Bua River which supports a healthy salmon population. The rainforest gives way to miombo woodland rich with flora and fauna. The best way to see the reserve is by kayaking down the river or walking with a guide. Birdlife is fantastic and you may even be lucky enough to spot elephants coming to drink at the river or antelope in the woodland. Leopard and lion are more tricky to see. 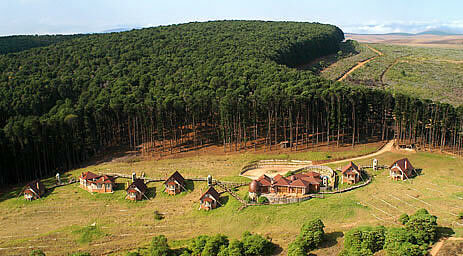 Tongole Wilderness Lodge is a fantastic lodge, recently opened and nestled in the dense foilage. 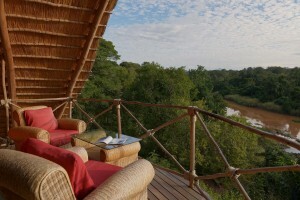 Open-fronted suites with panoramic views and raised decks allow you to soak up the majesty of the reserve. 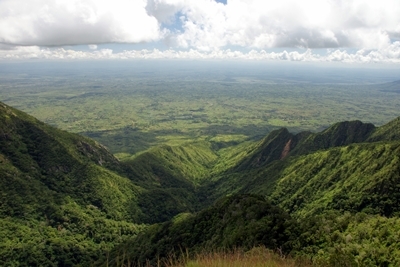 This scenic plateau is 1700m above sea level and is sandwiched between the sandy shores of the lake and an area of flat scrubland in Northern Malawi. It offers a wonderful tranquil , getaway. From Luwawa Forest Lodge you can enjoy the solitude of the river valleys, the birdlife and a range of activities from mountain biking and rock climbing to sailing and walking. This small pocket of natural beauty, of around 75 square kilometres, is relatively undiscovered. It is excellent for birding, with Malawi’s last remaining indigenous rainforest, abundant orchids, and elusive leopards. Ntchisi Forest Lodge offers simple accommodation in an historic colonial building complete with roaring log fires and spectacular lake and mountain views. Malawi’s largest park with over 400 species of birds including Denham’s Bustard and the wattled crane and a good density of leopard. Especially good in the rainy season when wildflowers and orchids cover the plains. Varied scenery includes a waterfall and lake as well as a neolithic rock shelter. Wilderness Safaris Chelinda Lodge and Camp provide excellent accommodation. Malawi’s Big Five park! Animal re-stocking continues with hopes of making this Malawi’s number one attraction. Over 3000 animals have been re-homed here in recent years including lion, elephant, hyena, buffalo, antelope, hippos and leopard. The introduction of Robin Pope’s stunning Mkulumadzi lodge has aided the new found popularity of Majete. This 1800m high mountain range has forest, lakes, waterfalls and abundant wildlife. In Zomba there is the chance to visit a variety of community projects. 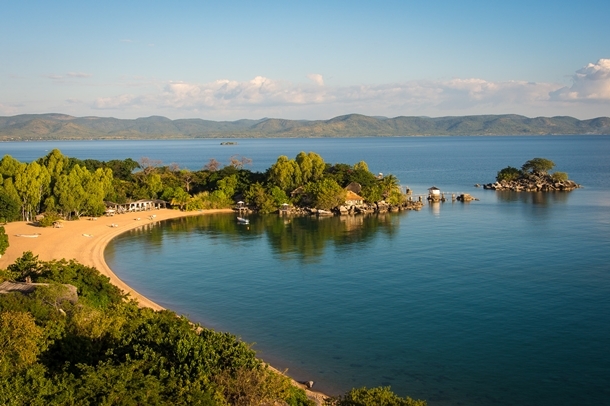 Right on the eastern shore of the lake is Likoma Island with its stunning beaches and luxurious accommodation in the form of Kaya Mawa. The lodge is beautifully designed, effortlessly managing to achieve a shabby chic style. This is a great spot for relaxing, indulging and soaking up the dreamy views of the Mozambique coast just 40km away. We love it. This huge slab of mountain south of Blantyre is surrounded by tea plantations and is incredibly scenic. Best explored on foot, there are trails suitable for all abilities, including 21 peaks to walk (or climb). With so many options available, we think Malawi should definitely be on your wish list! Previous PostMartin Clunes New Wildlife Documentary Screens Tomorrow NightNext PostHow many UNESCO World Heritage Sites are there in Africa? What a discovery. I am Malawian and did not know these lovely spots until today! I should like to visit these lovely areas, but my fear is they are very likely too expensive for an ordinary Malawian. This Region of Africa is definitely 1 on my Hope To Go There list of holiday Destinations. Amazing.